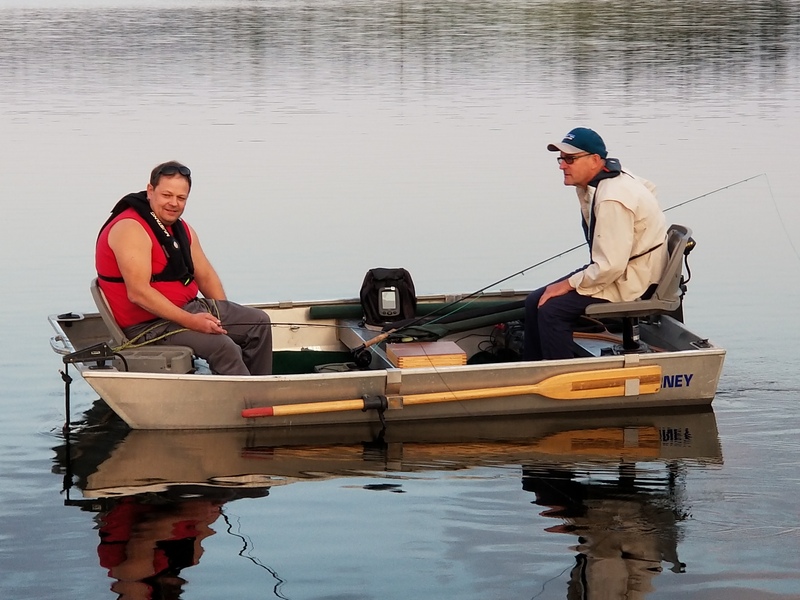 Carey and I arrived at the Knutsford Hall at 7:15 am to wait for Neil & John as they had never been to Ross Moore Lake. 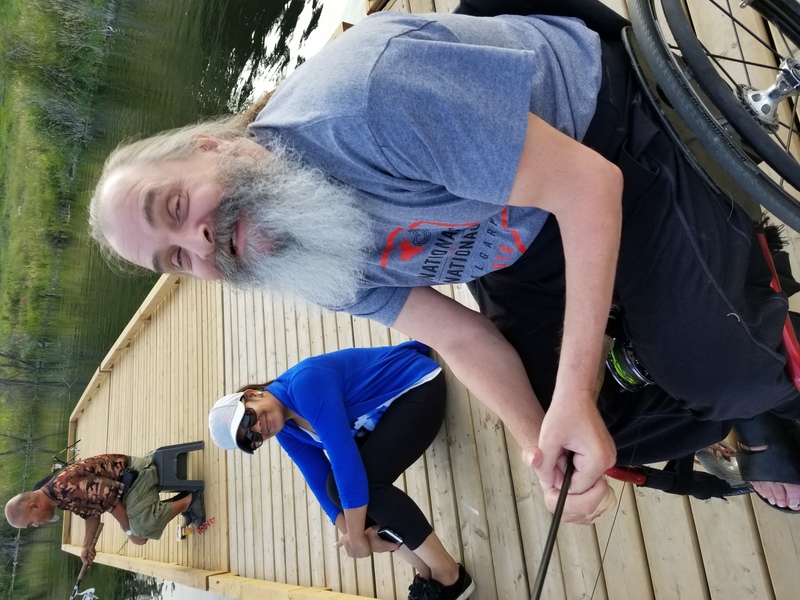 We were fishing on the lake at 8:30 am and tried several locations. Noon was time for the famous KFF Burgers. John was on the bar b que and they tasted great. We talked about our fishing expierances in the morning. The only person not in the photo is myself and Gil Schiller. 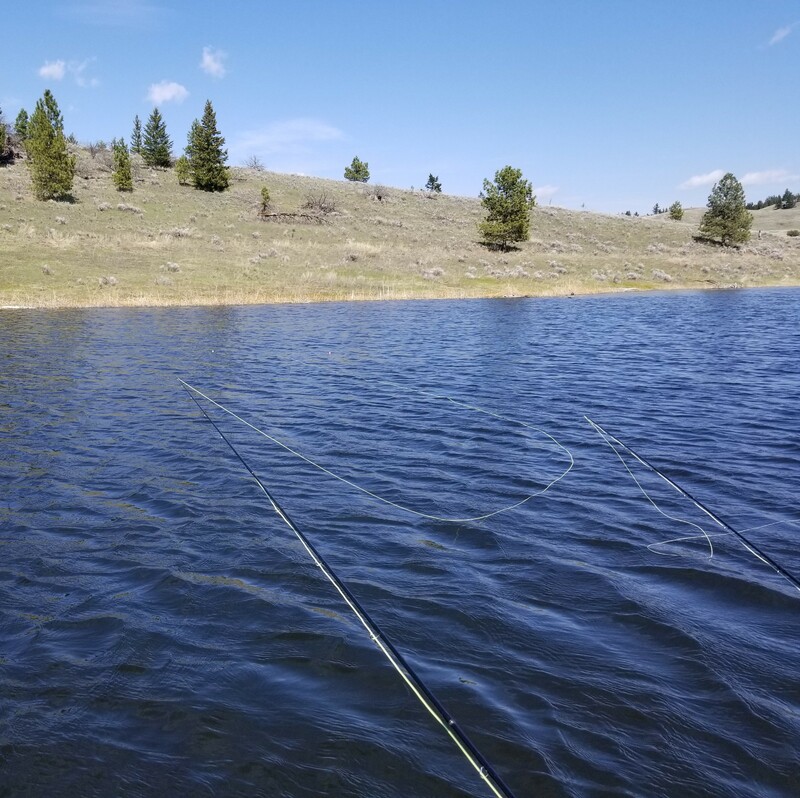 Carey and I didn't fish after lunch and proceeded home through McConnell Lake. This is the second time I had driven this way home and the road is very good. 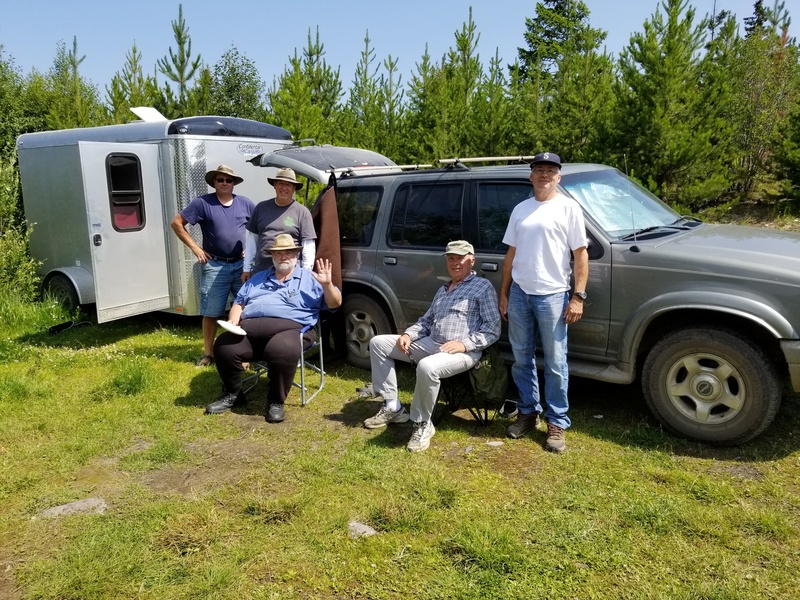 Our regular monthly meeting date was moved to May 22nd from May 15th and we had 31 in attendance. 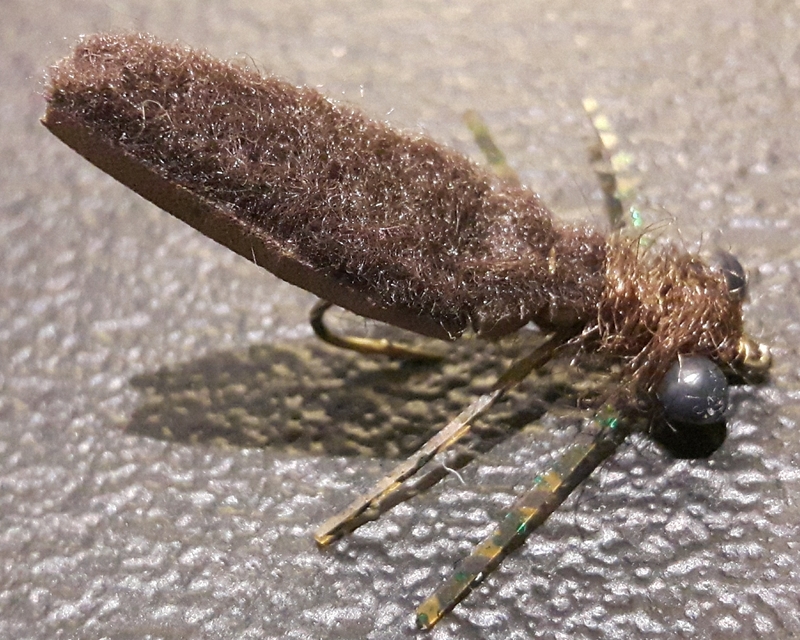 We combined our monthly meeting with Fly Tying 101 Ron Anderson presenting. Dinner was catered by Moon Wok and it was excellent. 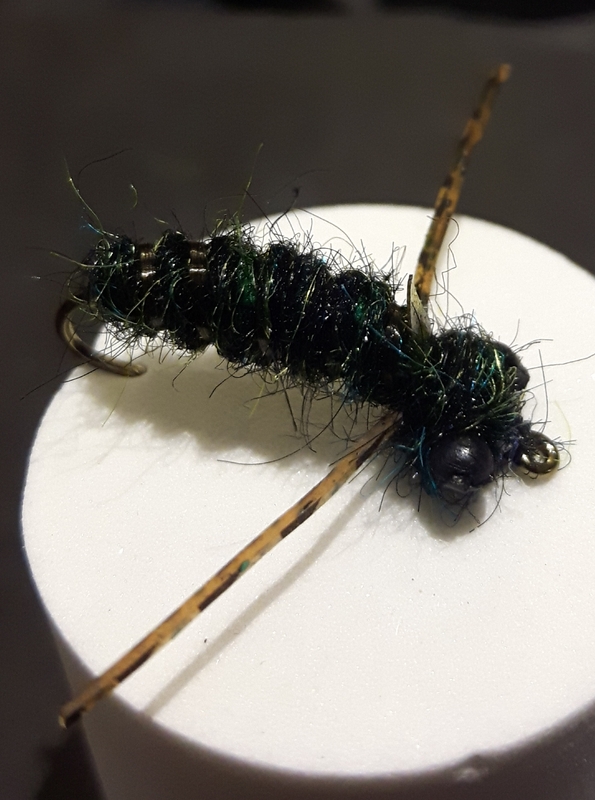 John Bowers received the Fly of the Month for giving up his long weekend to do his Step Father duties. He didn't wet a line all weekend. lol. 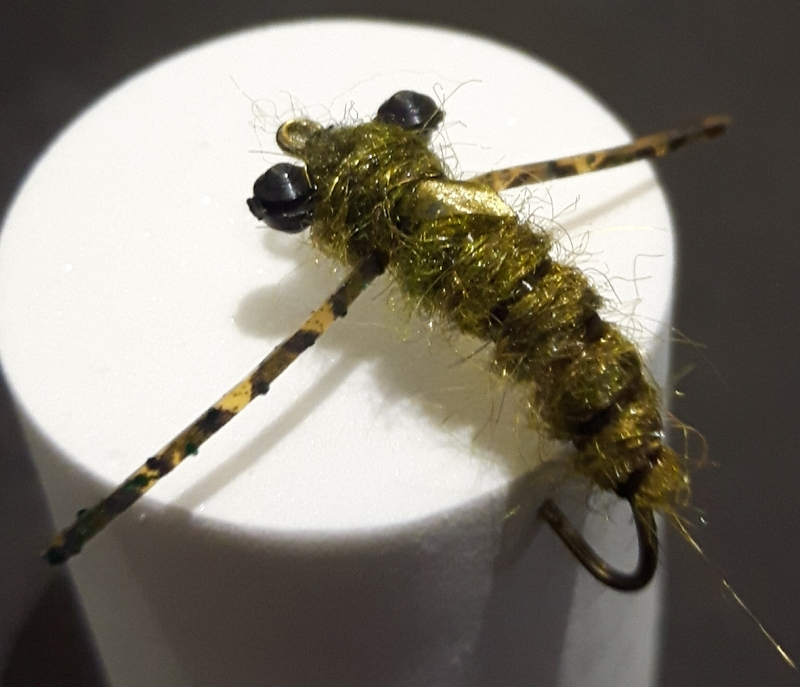 Fly of the month also went to those that helped with the Corbett Rod Makers Fishout. We had our first fishout of the year at Jacko Lake with ten Members attending. A good mix of retired and those playing hooky from work. 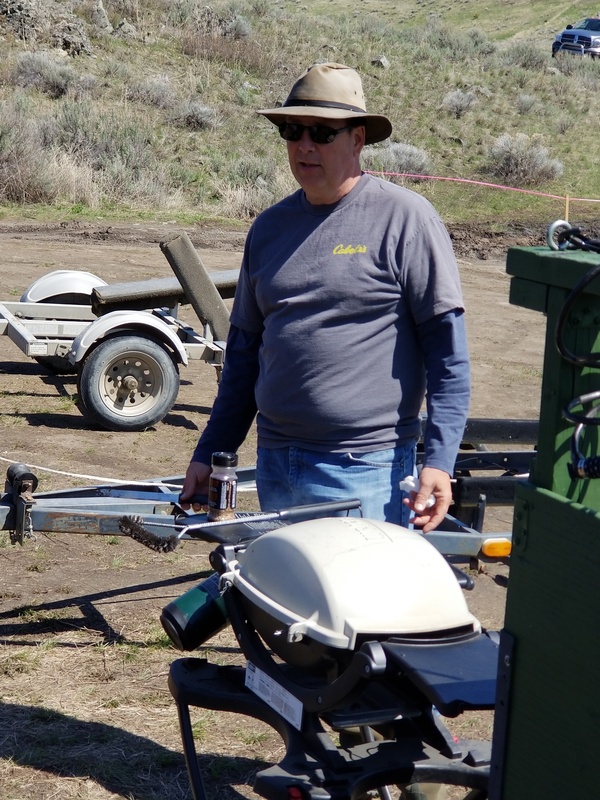 John Bowers was the Chef and the Burgers were mmmmmmmmmmmmmmmm delicious. Before leaving for the afternoon bite we talked about where we fished in the morning, how we did and where we were going in the afternoon. We had 33 Members attend. Fly of the month went to Tayler Culver & Tracy Murdoch the KEENERS. 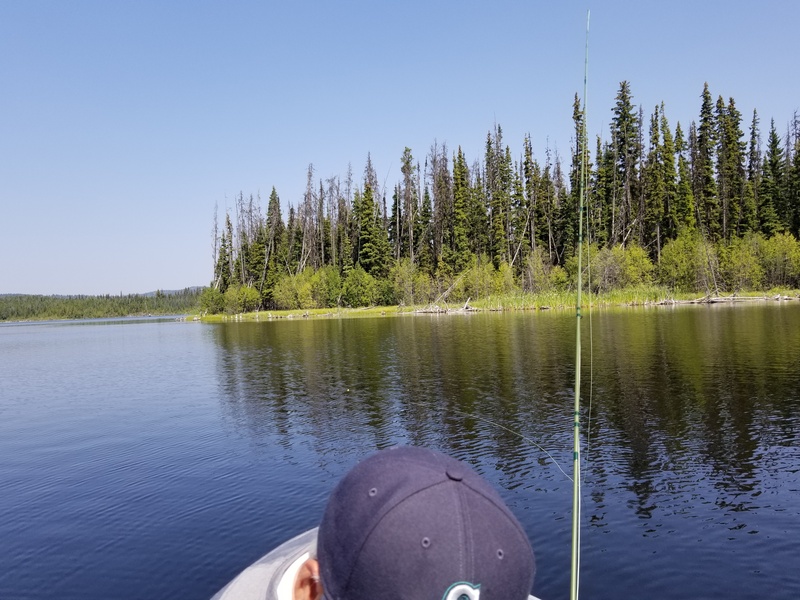 Tracy for driving up and checking out Morgan & 6 Mile Lake and Taylor for actually wading out on 6 Mile and fishing with ice still on the lake. 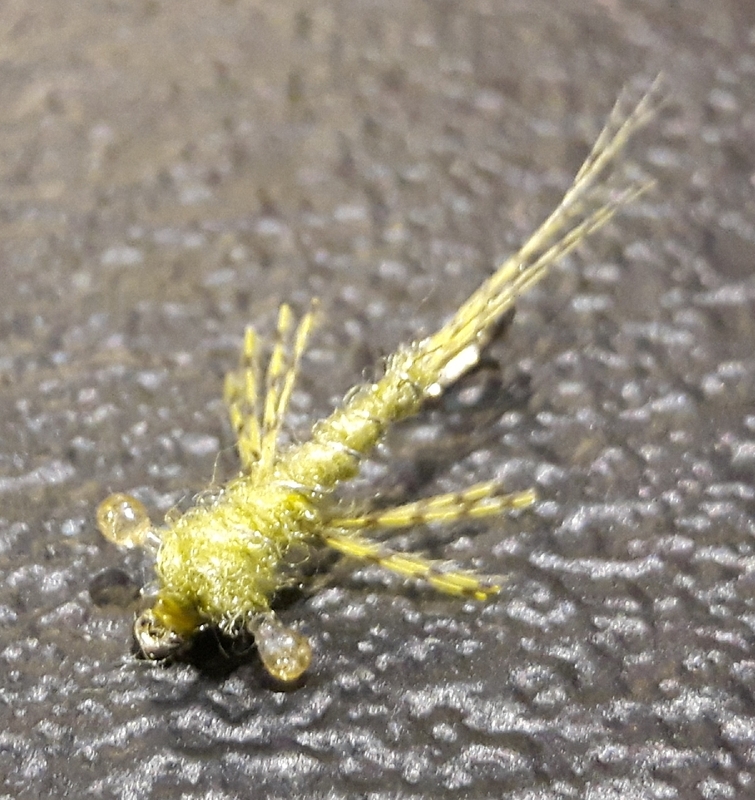 Fly of the month went to Wayne Deptuck for all his help for the fly casting lessons that didn't materize. Fish Fishout April 29th at Jacko Lake with Corbett Rod Makers as guests. Raffle of Ed Smiths flys took place and was won by Jason Blake. House Split was won by Carl Ottosen. 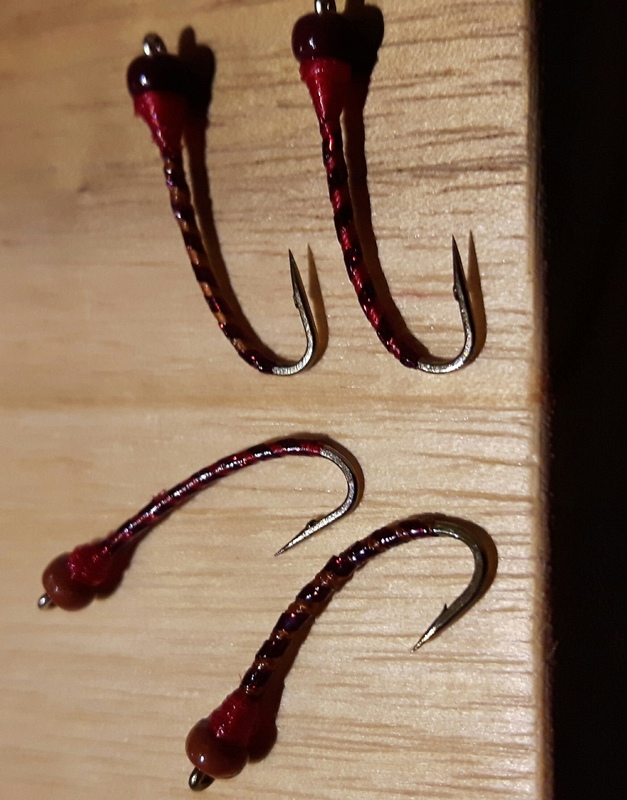 Was fooling around trying to design a floating dragon pattern that hovers above the weeds to fish on a full sink line. 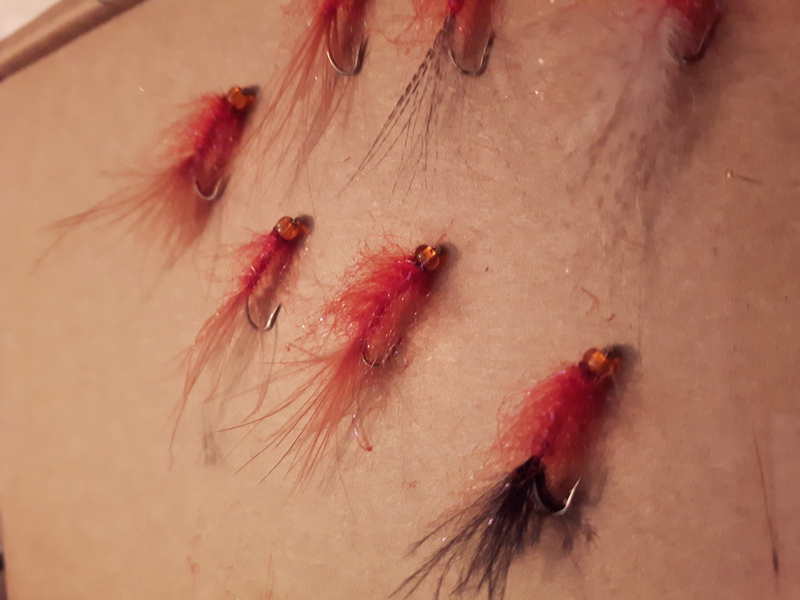 Can't wait to fish them. 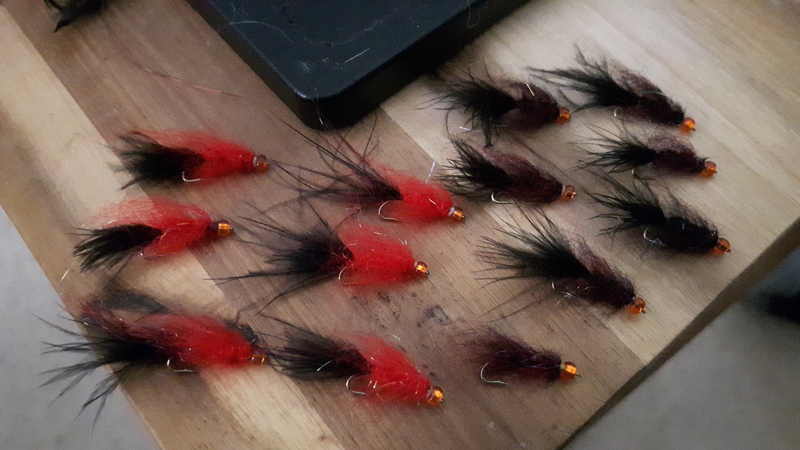 If anyone is interested I do sell my flies. 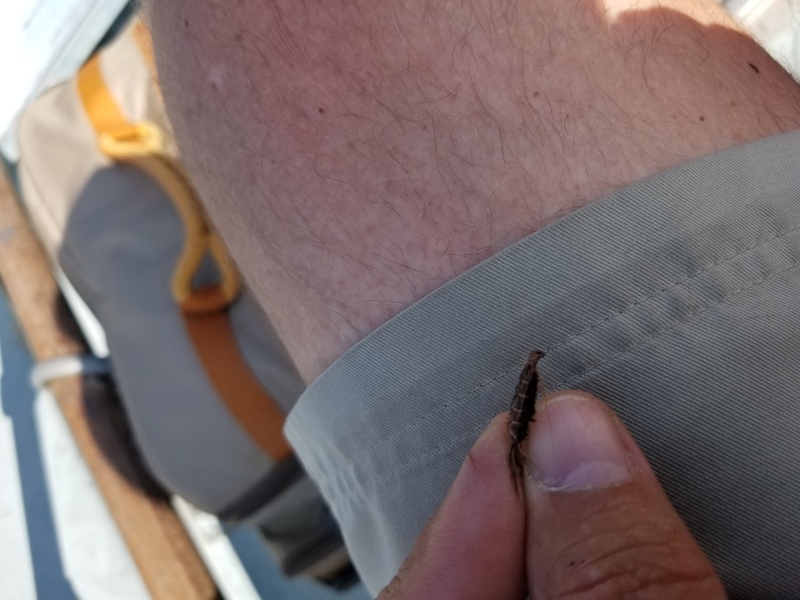 I have plenty of Chironomids of all colors, Dragons, and Micro Leeches. Great meeting on March 13th with 42 Members attending. Chinese food from Moon Wok was excellent. We started with Show & Tell by Members who had completed their fly rods this January/February. 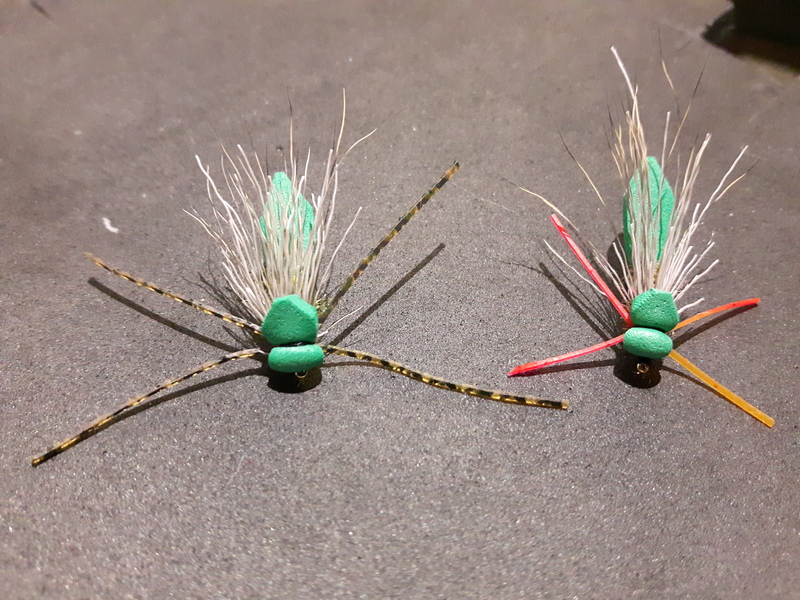 The Fly of the Month went to Mike Doutaz and Richard Bailey who led our Rod Building Sessions. Fly of the Month went to KDF&GA (Don Trethewey) and KFF (Sinc Dalgleish) for sending out a joint letter to the Ministers responsible. Kudos to Elmer Fast and Leonard Piggin for finalizing and sending the letter out.